Don’t look at him God, look at me. Look at all I do for you, all I give, how I live. I do all the right things, live a moral and upright life, I am perfect. I am so pleased with myself. He however! Well his life is nothing to look at is it? A tax collector, the lowest of the low. I’m surprised you can bear to have him in your sight – I’m not sure I can. I am so pure and holy, his very presence might soil me. Really Lord, if only everyone were like me, how much better the world would be. Oh Lord, don’t look at me. I know I’m not worthy, not fit to be here. I have got so many things wrong, failed miserably at so much, my life is such a mess. I am not good enough even to be in your presence. Yet, I come Lord, because I know that only you can help me. Have pity on me. I plead for your mercy, because I know my actions aren’t enough. Who had the right attitude about themselves? Which man was allowing God into their lives to change them and make a difference? Which one could God help? 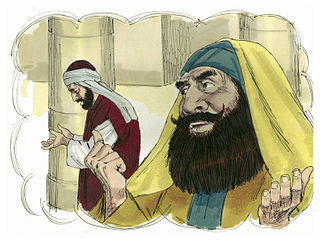 When the two men went home, it was the tax collector and not the Pharisee who was pleasing to God. If you put yourself above others, you will be put down. But if you humble yourself, you will be honoured. and welcome me to help me. and take pride in that.